I've been spending so much time talking about storytelling lately that, along with contemplation of the rebirth of Changeling, that I'm in the mood to tell you another story, this time about faeries. So for your enjoyment, I wish to share with you now a story I wrote back in 2006. So here it is: the story of Myf and Idris. In a small village in Wales named Porthgain, there lived a fisherman named Idris. He would go down every day to the shore and climb into his boat, push off into the sea, and cast his net. He worked hard to catch his fish, and at the end of each day, he rowed back to shore with his bounty. He set aside enough fish to feed him for the next day and took the rest to market, where he sold them for just enough to afford some bread and milk, the rent on his small cottage, and the materials to repair his boat and nets. One day, he went to his boat and saw a small lagomorph nibbling on a flower growing from the pebbles beside his craft. As he approached, the creature, a brown hare, turned to peer unafraid at him, and did not run. Idris began to think that he would be able to catch the hare and cook it for dinner, to give him something to eat besides fish. He took a net and crept towards the hare, but just as he got close enough to toss the net, the hare darted under a nearby rock. Idris gazed at the animal, feeling somewhat lugubrious. I was thinking this morning about the combat systems in roleplaying games. With the exception of Fiasco (and possibly Amber Diceless Roleplaying which I've never been able to try), the mechanics of any game system focus very heavily on combat. Rules systems vary from incredibly complex and detailed, with exacting descriptions of any foreseeable permutations described (like those in Dungeons and Dragons or GURPS) to vague and intuitive (like Little Fears). But no matter the system, it is always the most detailed part of the rulebook (unless you count the magic system, but given how many of the spells described in most games are usually most applicable in combat situations, the magic section may as well count as part of the combat system). This makes sense, given the way that roleplaying games grew out of miniatures war games. It's only reasonable that the first RPGs were, in essence, a system for emulating combat between individual characters. It's time for another board game review! Aren't you excited? Of course you are! 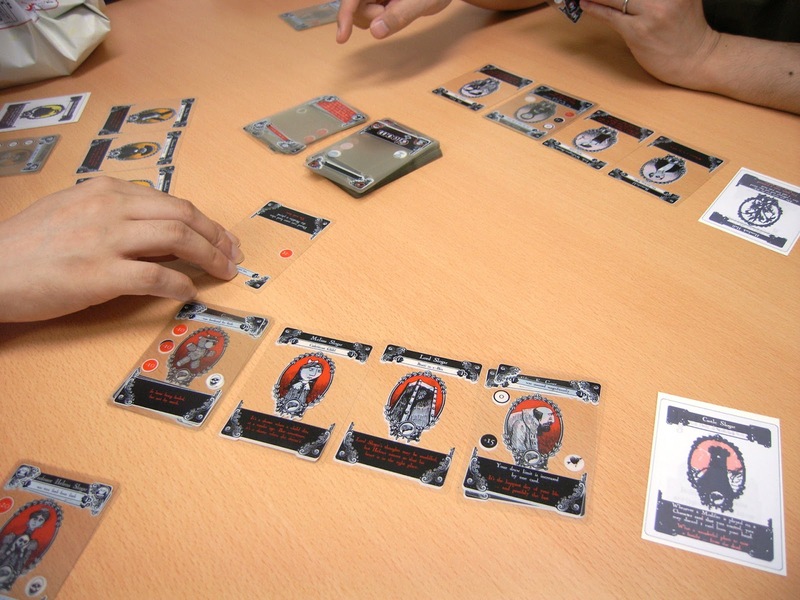 This week, we're going to look at the wonderful game Gloom. Ok, yes, it's not a board game, it's a card game. Hush. I just learned that there was a Kickstarter campaign that closed a couple of months ago for a new 20th Anniversary edition of Changeling: the Dreaming. This upsets me a little bit. I really wish I had known about it. I would have pledged. I really hope that there's nothing available to the backers that won't also be available to non-backers at some point... if there are any books that I can't get, I will be seriously angry. As anyone who's read much of this blog is aware, I am very fond of Changeling. I think I've done a pretty good job of explaining why I love it so much.